Investors may find it hard to overlook the irony that PG & E Corp., a California utility that ranks high on environmental, social and governance investing scorecards, may be the first corporate bankruptcy linked to climate change. But one investor, Julie Gorte, senior vice president for sustainable investing at Pax World Funds, said PG & E's spectacular fall not only underlined the dangers of simply ticking boxes when it comes to environmental, social and governance, or ESG, investing criteria, it revealed an area of ​​neglect for the popular investment trend: Investors are not fully considering the risks around climate-change adaptation. 1 bankruptcy protection due to significant potential liabilities for deadly 2017 and 2018 wildfires potentially tied to the utility's equipment, though it is not clear how much the utility will have to pay. California's wildfires – with the 2017 devastation ruled the state's most expensive ever, at $ 11.8 billion – are increasingly destructive, and the fire season's duration is being stretched by climate change, scientists and officials have said. "PG & E is a good example of why" investors should not follow a cookie-cutter approach, Gorte said, in an interview. ESG-oriented investors rate companies on a range of nonfinancial criteria, such as a company's carbon footprint and the number of female executives. Investors often use ESG ratings alongside financial factors in the decision-making process. Many practitioners see ESG as distinct from socially responsible investing, where investors have a more overt mandate to invest in companies that are judged to benefit society. Gorte said ESG was fundamental to unlocking better performance at Pax, a New Hampshire-based firm with nearly $ 6 billion in assets under management. With weather models since the 1990s showing California was increasingly vulnerable to drought, ESG investors seemed primed to shine if only because the movement's proponents have called for more scrutiny over the dangers around rising temperatures and rapidly shifting climate conditions. Yet PG & E, for the most part, stood in high esteem by specialist research providers offering all-in-one ESG scores; their attention to some areas, for instance, renewable sources, would offset shortfalls elsewhere, such as drought vulnerability. In other words, a brief glance at PG & E's ESG rating would not have elicited concerns among most investors. As a California utility, PG & E was obligated by local regulators to make use of renewable sources of energy, putting it among the top in terms of mitigating greenhouse gas emissions. Sustainalytics had rated the company in the 86th percentile in the environment category, and in the 74th percentile for its overall ESG score. "Sustainability is a big topic, and there are many different views of it; it is therefore not surprising that different raters have different views of sustainability, "Gorte said. But Gorte said that when it came to measures of climate-change adaptation, or how companies have sought to protect their operations from extreme weather events, PG & E was less than impressive in Pax's assessment. She said the judgment was vindicated when the utility revealed it could cost more than $ 75 billion if it tried to comply with a federal judge's proposal to prevent the further outbreak of wildfires, which included measures such as cutting down trees and trimming branches around power lines. The immense sum was viewed as a reflection on PG & E's not having done enough to prevent California blazes. 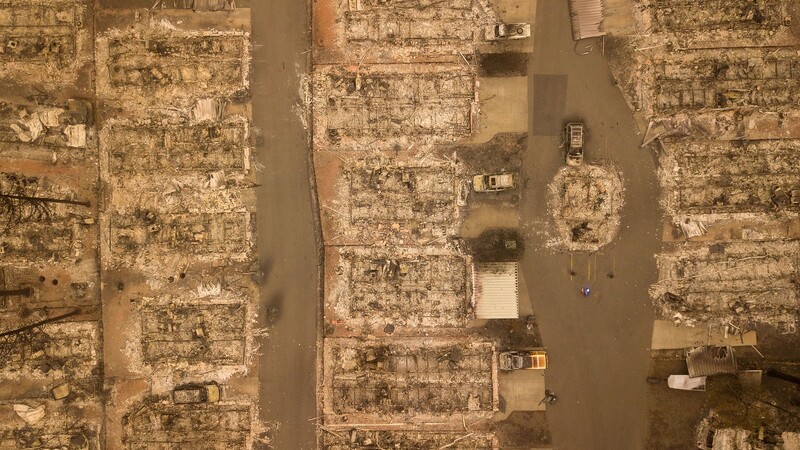 Gorte said because Pax had a dedicated team monitoring ESG risks, it would not just take ratings from third-party data providers as given but would weigh ESG criteria in a more holistic manner to come up with their own score of PG & E, which showed the utility was "neither a laggard nor a leader." As a result, Pax's portfolio managers were prohibited from investing in PG & E's stock or bonds. "Investors were able to [claim climate change] as a long-term risk. Most of the sell-side and buy-side equity analysts look at a time horizon of three to five years, they're not going to include this as a concern, "said Gorte. That makes for a dangerous complacency, she emphasized, as hurricanes sweeping through Texas and Florida in 2017 caused around $ 200 billion in damages. "Look what insurers and reinsurers say about climate change, this is actually happening today; it's not a hypothetical thing, "she said. For the most part, ESG investing has focused on governance. That's in large part because portfolio managers have plenty of experience with corporate scandals, fostered by a lack of board oversight, leading to poor returns.